Private branch exchange (PBX) has come a long way since its inception in the early ’90s, when operators had to manage switchboards manually, using cord circuits. Today’s business phone systems use software and the Internet as a cheaper, faster, more versatile and more efficient way to communicate and collaborate in business environments. The advent of VoIP (Voice over Internet Protocol) technology has given rise to the IP PBX. Though considerably more advanced than the original model, IP PBX is still stuck on-premise in most cases – on aging hardware and outdated software – for fear of change and security breaches. We’ve touched this topic before, but today we will focus on one, very important factor to consider when choosing your business phone system: obsolescence. …to outsource this hassle to a provider who delivers it in a single package, on your existing phone systems (including mobiles)? One of the biggest mistakes companies make when faced with new demand is to try and expand their network vertically, adding strain on an old foundation that starts to shake as new workloads are added. This old-fashioned mindset involves cost-prohibitive hardware and software, limited storage capacity, and an ongoing hassle to keep up with the times (i.e. new features and functions that may or may not be supported / compatible). There are advantages to keeping operations in-house, but not if your biggest fear is change. As for the security concern, hosted solutions stack well against affordable, on-premise safeguards. PBX solutions like VoipNow are capable of supporting all approaches, reducing the levy on your investment through a pay-as-you-grow licensing and the ability to scale your business communications up and down, at any pace, only depending on your current needs. All on your hardware of choice. However, the advantages of hosted PBX outweigh those of on-premise solutions by more than just a bit. But let’s look at that one big drawback – becoming outmoded – and see what it implies. Industry watchers estimate that by 2020, virtually every organization could be characterized as a “software company” with at least one asset hosted in the cloud and a dedicated IT department to assist the technical side of the operations. SaaS (Software as a Service) and its cousins IaaS (Infrastructure as a Service) and PaaS (Platform as a Service) will become de-facto business models for all but a handful of companies in the next five years, experts say. From a communication standpoint, this business model is unsustainable today, let alone in 2020. A conservatory mindset isn’t a business asset. 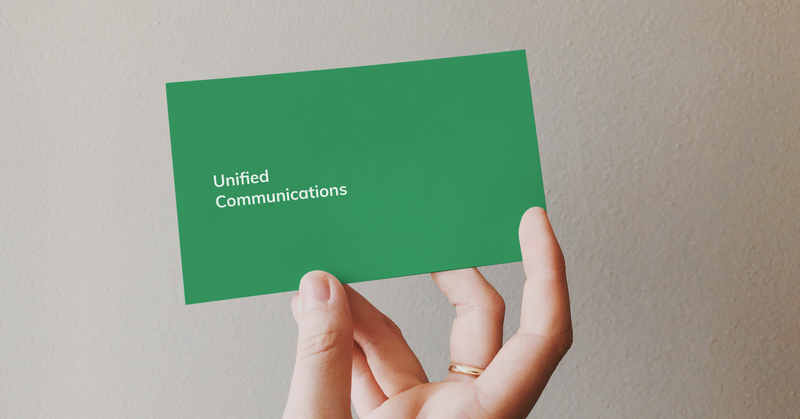 Unified Communications (UC), on the other hand, is. What will you do to stay ahead of the curve?